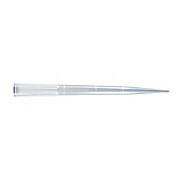 Tip Length: 45mm, Universal fit for ultra-micro pipettors. Certified RNase, DNase and Pyrogen Free. Universal Fit, Certified RNase, DNase and Pyrogen Free. 200ul Standardization Tip in Reload Format, Graduated, Natural. Certified RNase, DNase and Pyrogen Free. 10 Decks of 96 Tips (960 Tips)/pk. Racks Sold Separately. 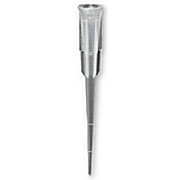 1000ul Extended Length Tip in Reload Format, Graduated, Natural. Certified RNase, DNase and Pyrogen Free. 8 Decks of 96 Tips (768 Tips)/pk. 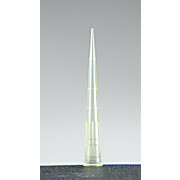 10ul Extended Length Tip in Reload Format, Graduated, Natural. Certified RNase, DNase and Pyrogen Free. 10 Decks of 96 Tips (960 Tips)/pk. Racks Sold Separately. 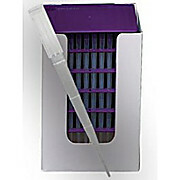 Certified RNase, DNase and Pyrogen Free, Use with Box Rack TS-125BR. 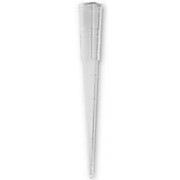 Fits most Single channel P1000's, Labnet and Eppendorf Multi-channels. 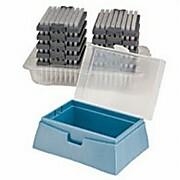 Does not fit Matrix 1250 or Biohit 8-channel pipettors. 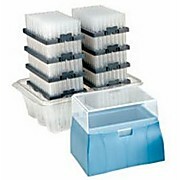 This product is available in various packaging configurations. 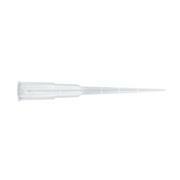 Universal Fit for research-grade pipettors. Available with Low Binding Surface Technology!